WASHINGTON (Sputnik) - US President Donald Trump will move forward building of the wall on the US-Mexican border in 21 days, when the deal on temporary funding government agencies expires, regardless of the position of the US Democratic Party, White House Press Secretary Sarah Sanders said. On Friday, Trump and congressional leaders reached an agreement to end the shutdown by reopening the government for three weeks of negotiations, in which Democrats and Republicans will attempt to resolve differences over the president’s demand for money to build the wall. "In 21 days President @realDonaldTrump is moving forward building the wall with or without the Democrats. The only outstanding question is whether the Democrats want something or nothing," Sanders wrote on her Twitter page on late Friday. 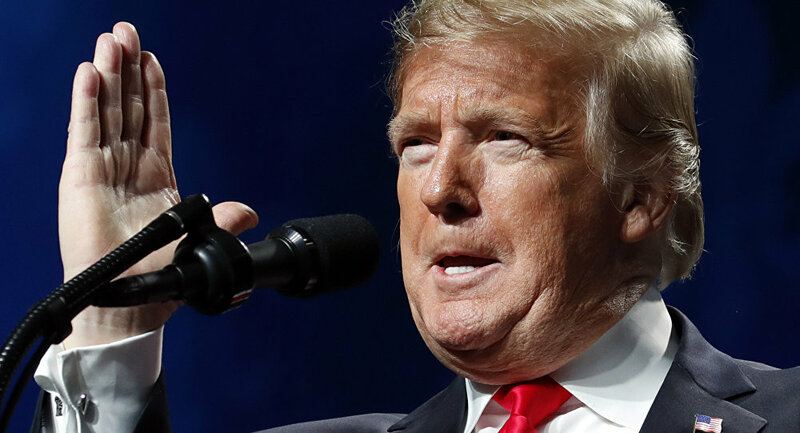 ​The request for funding for border security and the construction of a border wall or physical barrier along the US-Mexico border has been a sticking point in negotiations between US President Donald Trump and Democrats amid the partial government shutdown. On Thursday, two spending bills put forth in the US Senate to end the current government shutdown fell short of the votes needed to proceed. However, on Friday the US House of Representatives joined the US Senate in passing a spending bill to end the partial government shutdown until February 15.